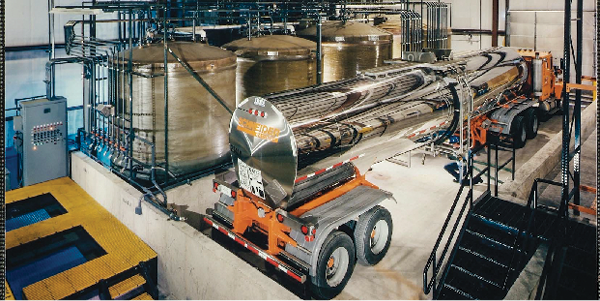 For chemical logistics providers such as WSI, safety on the truck and in the warehouse is of paramount importance. The chemical industry's complex logistics needs, safety and security concerns, and regulatory issues make outsourced logistics, transportation, distribution, and warehouse services an important part of its supply chain. Third-party logistics (3PL) providers working with the chemical industry offer a wide range of services in different levels of integration, from providing a single service to functioning as a virtual logistics department. Chemical companies using 3PLs can reap the benefits of that supply chain expertise while focusing their time and energy on manufacturing and selling chemicals. The benefits of a good outsourced partnership can be numerous and far-reaching in scope, notes Taylor Nicks, manager of global 3PL C.H. Robinson's ChemSolutions division. The company invests in people, processes, and technology to help shippers achieve optimal supply chain functionality. In addition to the complexity inherent in chemical products, the nearly $3-trillion global industry is cyclical in nature, and closely tied to the ups and downs of the global economy. It is also highly evolving and heavily regulated. The industry is an important one, too: In the United States, the chemical industry employs nearly 800,000 people and constitutes roughly 12 percent of the nation's exports, aggregating $187 billion annually. Because the industry is heavily linked to the economy, the past few years have kept its players on uneven terrain. Global chemical production (excluding pharmaceuticals) grew by 2.6 percent in 2012—significantly slower than the previous year's 3.8 percent, according to chemical company BASF's 2012 annual trend analysis. And an upswing in demand expected for the second half of 2012 failed to appear. The report attributes this slack in demand to "weak economic development in the industrialized countries, and restrained growth in many emerging markets. "Also, in anticipation of decreasing prices, many chemical products consumers showed caution in restocking their inventories," says the report. Industry growth has generally been slower in the United States and Europe, so many chemical producers are looking to expand in other high-growth markets, notes Taylor Nicks of C.H. Robinson's ChemSolutions division, which offers chemical shipping expertise, bulk equipment, and a global technology platform. "Chemical shippers are working to rationalize their current portfolios; looking to tap into new feed stocks; and starting to look beyond their product portfolios for value-added services to create deeper relationships with key customers," Nicks explains. And while demand seems to be retuning in 2013, capacity has remained scarce, causing a new set of headaches. "We see encouraging signs from shippers that volumes are returning, but capacity is not returning at the same pace," explains Mike Challman of ChemLogix. "Capacity is tight, so carriers are getting selective about which companies they choose to work with. A lot of loads are out there, giving carriers many options."